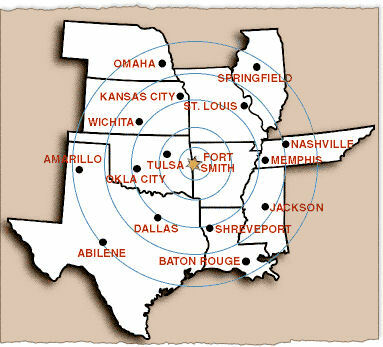 As discussed in the “About” section of this blog, I am now based in Arkansas – which bills itself (truthfully) as the “Natural State.” In fact, during the spring and summer months, this is one of the greenest states I have ever seen. I currently live in the Fort Smith “River Valley” area, which is located on the Arkansas River and is near forests, mountains, bluffs, and miles upon miles of hiking trails. But don’t just take my word for it. This gorgeous travel TV ad from Arkansas.com really shows off the beauty of my adopted state. This is also an area that is super proud of its history, shown in its many lovingly restored historic sites. In Fort Smith that includes its Museum of History (housed in a 1907 warehouse building), the National Historic Site (which is located in the fort’s former barracks, courthouse, and jail buildings), the barbershop at Fort Chaffee where Elvis received his GI haircut after going into the Army, and even the only former bordello on the National Register of Historic Places. 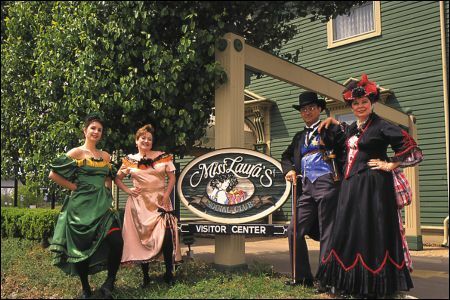 In fact, Miss Laura’s Social Club is now home to the city’s Visitor’s Center! This reminds me that my favorite thing about the town is the great sense of humor of its people, and their willingness to throw themselves completely into any and all celebrations. 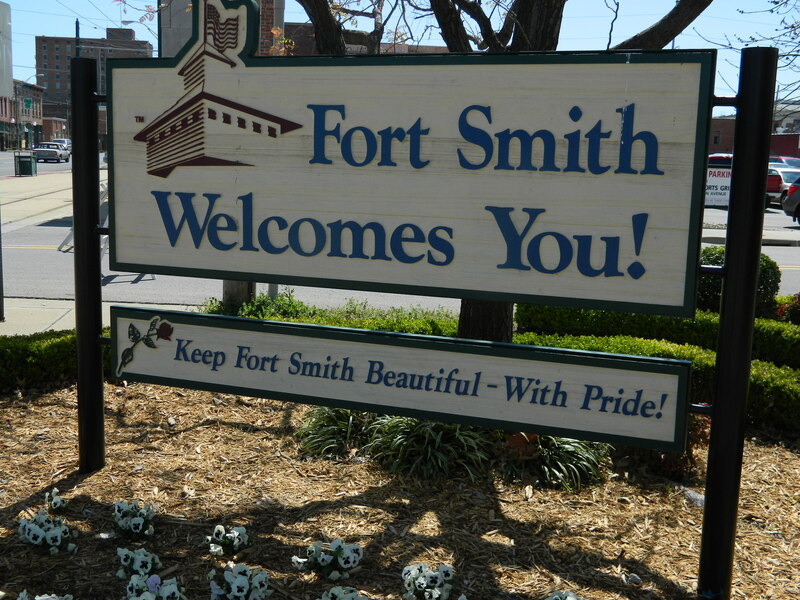 For example, the movie “True Grit” is set in Fort Smith. And when the remake opened in 2010, hundreds of people dressed as Rooster Cogburn descended upon the area to have fun and shout together lines from the movie. Click this link to see how that worked out. During its past, the town gave shelter to real historical figures such as Belle Starr; Wyatt Earp; one of the first black marshals, Bass Reeves; and the infamous hanging judge, Isaac C. Parker. It was selected by the U.S. Department of the Interior to house the soon-to-be-built United States Marshals Service National Museum. And because of its dedication to preserving its western heritage, Fort Smith was recently named the #1 Top True Western Town of 2013 by True West Magazine. 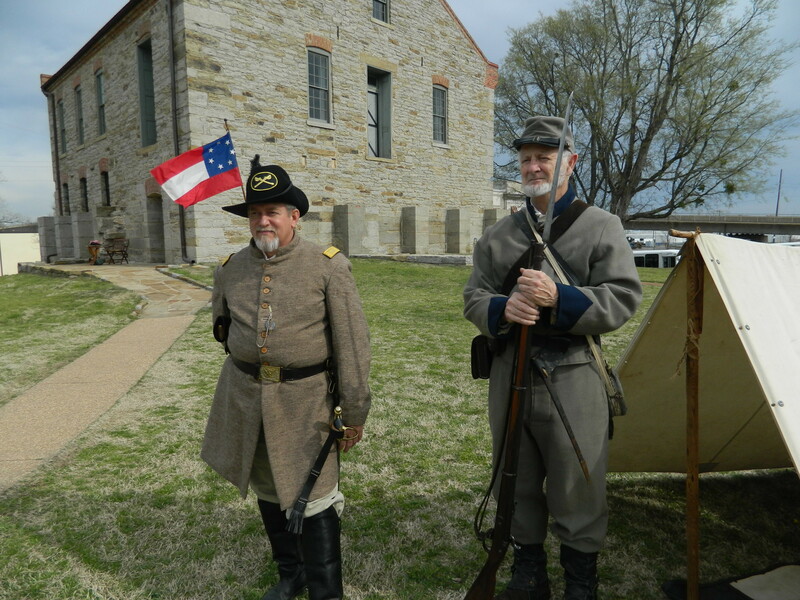 Although the town began as a frontier military post in 1817, and at several points throughout the year talented re-enactors enjoy giving the illusion that it is still located back in time, Fort Smith is firmly set in the present with a modern (and pretty!) convention center, all the conveniences of a much larger city, plenty of cultural options such as a world-class symphony (where I recently saw the divine Jubilant Sykes guest singing), and even an airport that won 1st place in the 2005 America’s Best Bathroom contest. All in all, I’d say it’s is a pretty great home base for this travel writer!